Yep, you’ve probably already heard it, this controversial song, “Let Me Show You Love”. No, it doesn’t bring about political, religious, or world-worry controversy…..this song has the indie music world crying foul and may hurl Cut Copy out of their space for awhile. Haven’t they always walked that tightrope of indie-dance-pop? No mind, I am listening to it again and again. This weekend I am celebrating my birthday. I have pouted about growing another year older long enough and have turned a corner, deciding to embrace my singing, dancing self instead. My friends and family will be relieved to know that I will now be laser focused on being the opposite of my last cloudy mood. It all begins with this song. I will crank it up and dance, dance, dance. This is my latest fun, harmless jam that I don’t have to review and worry what the music pundits are thinking about my musical taste. Poo to you! I am loving this album, Free Your Mind, and I especially love this song, “Let Me Show You Love”. It is full on fun and exactly the remedy I need for gearing up to my carefree weekend. 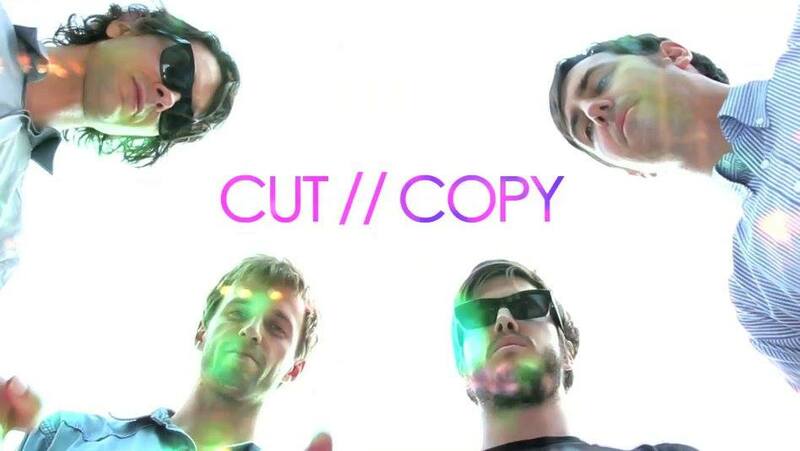 Check out Cut Copy on Facebook. Then, when you are done listening and dancing and need a little breather, I hope you’ll listen to another track, “Walking in the Sky”. Abandon all logical reason, and go on and listen to the whole album. You will thank me later, when you blow bubbles with your bubble gum, wink and smile at strangers with cross faces, and throw that ball one more (millionth) time for your adorably obsessed doggie.